Has Michelle Bridges gone under the knife? When she shared a selfie after a visit to the Paloma Salon in Sydney recently, Michelle Bridges set tongues wagging. But it wasn't the 48-year-old's new haircut that had everyone talking. Instead, The Biggest Loser trainer sparked rumours that it's not just her locks that have been snipped and trimmed. "Michelle's lips seem a lot plumper these days and her skin is noticeably tight and smooth," an insider tells Woman's Day. "A lot of people are starting to wonder if that's down to her getting work done." READ MORE: Inside Michelle Bridges' $4.5 million Sydney mansion! Boston cosmetic surgeon Dr Dave E David, who has not treated Michelle, believes her surprising new look is the result of going overboard with the plastic surgery procedures. He says the fitness guru's new look is down to "lip fillers and bad Botox changing the angulation of her eyebrows." Check out the pictures below to see the difference in Michelle these days! An insider adds, "Michelle is looking younger, but it seems like she could already be going too far with the cosmetic work." Michelle's partner is her fellow Biggest Loser trainer Steve 'The Commando' Willis who appeared on this year's Australian Survivor: Champions versus Contenders. The two share one son, Axel, born in 2016. 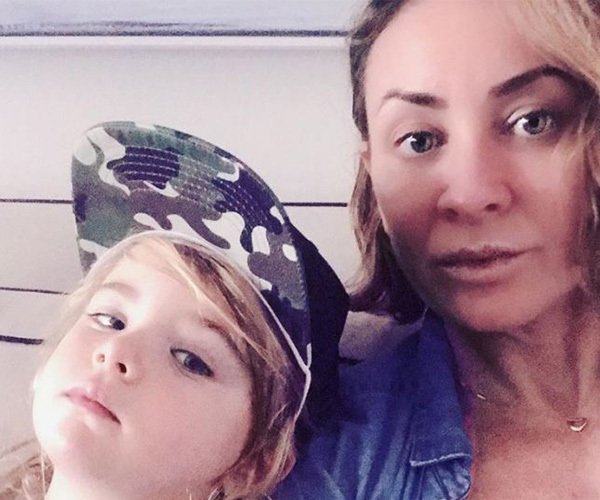 WATCH: Michelle Bridges works out with son Axel by her side.